An overview of the available FIRE facilities offered through Fed4FIRE+ can be retrieved at the facility overview page on the Fed4FIRE website1. Additional background information about both the offered facilities, the tools adopted by the federation, and the implementation steps needed from a facility when joining the federation can also be found in the Fed4FIRE training material2. The major objective of this Open Calls is to make the federated infrastructure directly available for execution of innovative experiments by experimenters at both industrial (including SMEs) and research organisations. These experiments should be of a duration as defined by the type of the call (Extra Small, Small, Medium or Large) and use one or more Fed4FIRE+ testbeds. Examples of such experiments may include but are not limited to testing of new protocols or algorithms, performance measurements, service experiments. It is required that these experimenters will come from parties or organisations that are not part of the Fed4FIRE+ project consortium. In view of the targeted timeline and duration of the experiment, it should be clear that these Calls envisage experiments by which existing products or services are tested, implemented or optimized on the Fed4FIRE+ testbeds rather than proposing or developing new ideas from scratch. 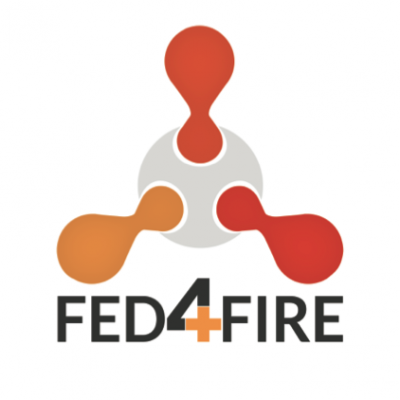 The Fed4FIRE+ project is issuing this series of open and competitive calls for experiments with a degree of industrial and/or scientific innovation, relevance for the Fed4FIRE+ federation and an appropriate scale of complexity. Independent evaluations of the submitted proposals will be performed, in order to select experiments which will be executed within the project. It is required that the experiments are performed by a single organization.  “Small Experiments” with a maximum budget (including the financial support to the Fed4FIRE+ partner(s) acting as a Patron) of € 30 000 and a maximum duration of 6 months.  “Large Experiments” with a maximum budget (including the financial support to the Fed4FIRE+ partner(s) acting as a Patron) of € 100 000 and a maximum duration of 12 months. The proposal template will allow ticking one and only one of these categories. The top ranked proposals in the category “Small Experiments” with a maximum of 10 experiments and the top ranked proposals in the category “Large Experiments” with a maximum of 2 experiments will be selected for funding.  Easily access all the required resources with a single account.  Focus on your core task of experimentation, instead of on practical aspects such as learning to work with different tools for each testbed, requesting accounts on each testbed separately, etc.  An extra benefit which is offered in this call is the dedicated support from specific Fed4FIRE members. Each proposer, preparing a proposal is required to seek a supporting Fed4FIRE consortium partner or partners (the “Patron”) that will be in charge of dedicated (advanced) support of the experiment. Once a party is selected to perform the proposed experiment, it will be contracted by the project coordinator (imec) as a 3rd Party. This will require the signature of the Agreement in Annex 1 to this document.  To submit a report at the end of the experiment using the template in Annex 2 to this document.  To prepare a Poster (A1-format) describing the objective and results of the experiment as well as the impact of the experiment on the proposers’ business. This poster can be used by the Fed4FIRE+ consortium at public events and will be used at the occasion of the review meetings.  To prepare a flyer (2 A4-pages) describing the objective and results of the experiment as well as the impact of the experiment on the proposers’ business. This flyer can be used by the Fed4FIRE+ consortium at public events. o the impact of the experiment on the proposers’ business.  The production of a short video about the experiment is recommended. This video will be used by the Fed4FIRE+ project at public events. o Objective: presentations by the finished and running experiments will serve as tutorials and demonstrations towards participants and new experiments attending the event. o Objective: presentations by the finished experiments will serve as tutorials and demonstrations towards participants and new experiments attending the event. o A formal review meeting by EC representatives of all finished experiments will also be required. These formal review meetings will be organized according to the availability of the reviewers. In some cases these will be co-located with one of the FEC events but they can also be organized as separate meetings. It is therefore recommended to budget these as separate meetings in the proposal. o As the experimenter will be linked to the project as 3rd Party, there will no possibility to attend formal meetings of the consortium but specific (remote) meetings regarding the experiment can be set up with Fed4FIRE+ partners. The engineering conferences should be used to discuss face-to-face. The use of a specific proposal format as described in this section is mandatory. The template (annex to this document) is limited in size and is focusing on “what experimenters want to do” and “what the expected result is”. Section A Summary (300 word summary) The information in this section may be used in public documents and reports by the Fed4FIRE consortium. Section C Requested Fed4FIRE+ tools, testbeds and facilities (target length 1 page) The information in this section needs to be collected in collaboration with the Fed4FIRE partner acting as patron on this experiment. For this section a specific format needs to be used, which is attached to this document and available for download. Section D Compliance check (max. 1 page) This section contains the feedback from the Fed4FIRE+ partner(s) acting as patron on this experiment. Each proposing party must contact the Fed4FIRE consortium regarding its submission to identify a possible Patron. This Patron will in most cases be the Fed4FIRE partner responsible for the Testbed the proposing experimenter will use during its experiment. The proposing party must submit its draft proposal to this Patron by the dates listed before. The feedback by the Patron is copied into this section of the proposal and will give feedback on the feasibility of the experiment on the testbeds. Section E Background and qualifications (target length 1-2 pages) This section describes the proposing experimenters and includes an overview of the activities, your qualifications, technical expertise and other information to allow the reviewers to judge your ability to carry out the experiment. Section F Expected feedback to the Fed4FIRE+ Consortium (target length 1-2 pages) This section contains valuable information for the Fed4FIRE consortium and should indicate the expected feedback the Fed4FIRE consortium can expect form the use of its federated facilities after carrying out your experiment. This information is essential in view of the sustainability of the facilities and use of tools and procedures. Note that the production of this feedback is one of the key motivations for the existence of the Fed4FIRE open calls. Section G Requested funding (1 page). This section provides an overview of the budgeted costs and the requested funding. A split is made in personnel costs, other direct costs (travel, consumables,..) and indirect costs (see section 0). This section also includes the split between the budget allocated to the experimenter and the budget allocated to the Patron(s), clearly argumenting this split (max. €5000 in total for the patron(s)). It is thus possible to have e.g. one patron providing specific testbed resources and setup for €1500 and another patron offering consulting help for €3500 for the same experiment.  Parties who have submitted proposals in previous calls which were NOT selected for funding should indicate the exact dates and details of the previous submissions, taken into account that a ”waiting period” of at least 6 months needs to be taken into account before re-submission can be considered.  Parties who have submitted proposals in previous calls which were selected for funding should indicate the difference between the current proposal and the previously submitted proposal.  Parties belonging to a legal entity of which other groups have submitted proposals in previous calls also need to indicate the difference between the current proposal and the previously submitted proposals. Section I Survey. This survey contains a list of specific requirements which you expect your experiment has for our federated testbeds. This survey will be done through a specific template which will become available on-line. This survey is an integral part of your proposal. Proposing parties who do not complete this survey by the set deadline are not eligible for evaluation. The survey responses will remain within the Fed4FIRE consortium and will be used for reports and evaluation of the Fed4FIRE tools, testbeds and concept. The results will not be forwarded to the reviewers and will consequently not influence the scoring of your proposal during the evaluation process. - Deeper study of the problem of the experimenter: invest effort to fully understand what their goals are, suggest (alternative) ways to reach their goals. To put it more concretely (again using the example of the Virtual Wall testbed), these experimenters do not need to know the details on the Virtual Wall or how it should be used, they will be told what is relevant to them and can focus on their problem, not on how to solve it. - Help with setting up the experiments (e.g. "how to use the virtual wall" => answer: the tutorial is there, but let me show you how what is relevant for you, let me sit together with you while going through this example and let us then also make (together) an experiment description that matches what you are trying to do. - Custom modifications if needed: e.g. adding third-party hardware and preparing an API for this. It is essential that you get in contact with the Fed4FIRE partner in charge of the testbed(s) you will use for your experiment to discuss your experiment and the specific requirements. Each proposing party must therefore contact the Fed4FIRE consortium regarding its submission to identify a possible Patron. The proposing party must submit its draft proposal to this Patron by the “Feasibility Check Deadline. The feedback by the Patron is copied into section D of the proposal. The role and support by the Patron will be reflected in the budget (see section G of the proposal). At least one Patron is needed per experiment, but more are possible.  As a 3rd Party, the proposing party needs to include an overview of the estimated costs in its proposal at the time of submission. Costs consist of personnel costs, direct costs (such as travel, consumables, etc.) and indirect costs. The costs of a 3rd Party have to comply with the rules and the principles mentioned in Section I, Article 6 (Eligible and ineligible costs) of the H2020 AGA — Annotated Model Grant Agreement (see http://ec.europa.eu/research/participants/data/ref/h2020/grants_manual/amga/h2020-amga_en.pdf), in the same way as the beneficiaries, and must be recorded in the accounts of the 3rd Party. In other words, the rules relating to eligibility of costs, identification of direct and indirect costs and upper funding limits apply. Equally those concerning controls and audits of Section I, Article 22 of the H2020 AGA.  providing feedback and quality-check on the submitted reports and materials by the experimenter.  The budget can be split in a flexible way between the experimenter and the Patron but the split needs to be provided and argumented in the proposal (with a max. total of €5000 for the patron(s) ).  To submit an invoice for 75% of the budget allocated to the 3rd Party which will be paid by imec as coordinator upon an approval of the report by the Fed4FIRE+ consortium.  To submit an invoice for 25% of the budget allocated to the 3rd Party which will be paid by imec as coordinator upon receiving a positive evaluation report by the EU appointed reviewers following a formal review by the EU representatives.  Payments to the Fed4FIRE+ partner acting as Patron will be made internally within the consortium. As indicated by the EC Guidelines, a 3rd Party is paid in full for its contribution made to a project by the beneficiary with whom it has a subcontract. As a consequence 3rd Parties do not have any IPR rights on the foreground of the project. As the experimenter will be linked to the Fed4FIRE+ consortium as subcontractor to imec, no input will be required for any of the regular project reports which the Fed4FIRE+ consortium needs to submit to the EU. This report will not only serve as an evaluation tool to judge payment of the experimenter, but will mainly serve as input to the Fed4FIRE sustainability plans, evaluation of the user-friendliness of the Fed4FIRE tools and identification of missing gaps in both testbeds and tools. Part of this report may be used by the Fed4FIRE consortium for inclusion in their reporting documents to the EU and in public presentations. Inclusion of confidential information should therefore be indicated and discussed with the Fed4FIRE consortium. This report will also be used for the formal review by the European Commission. - Multiple proposals may be submitted by the same party, however in case multiple proposals are submitted reference should be made to each submitted proposal and clear indication should be given on the complementarity of the proposals. Criteria I. A degree of industrial and/or scientific innovation including a motivation for the experiment. (Fout! Verwijzingsbron niet gevonden. of the Proposal Template) The score given here should reflect the degree of innovation: if an experiment is pushing the boundaries of its domain, then it should get a higher score here then experiments testing trivial things. In order to demonstrate these criteria, the proposer may opt to indicate the State of the Art in the appropriate field. Criteria III. Clarity and methodology (Fout! Verwijzingsbron niet gevonden. of the Proposal Template) The experiment should be scientifically and/or technically sound. There should be a clear problem statement, a solid experiment design, a good methodology, etc. Criteria IV. An appropriate scale and complexity of experiment in respect to its implementation and execution in the scope of Fed4FIRE and defined time frame (Fout! Verwijzingsbron niet gevonden. of the Proposal Template) Use of only a single testbed is acceptable, but multi-testbed experiments are preferred. No distinction is made between achieving this by running the same experiment in sequence on multiple testbeds (e.g. to evaluate different wireless environments), or by running a single experiment that relies on resources from different testbed at the same time. If however proposals have made their design artificially more complex than needed just in order to use multiple testbeds, then the score will be lower. Similarly, if proposals have made their designs too trivial while you can easily identify opportunities for involving other testbeds that would have made the experiment stronger, then the score will also be lower. In order to optimise the design of the experiment, the proposer should seek information on the available testbeds. Criteria V. Relevance for Fed4FIRE framework in terms of planned facility and tools utilization and potential feedback to the project on their usage (Fout! Verwijzingsbron niet gevonden. of the Proposal Template) The Fed4FIRE consortium is seeking feedback regarding the available tools, procedures and testbeds. Proposals which can indicate that more information and feedback on the use of these tools and procedures will be provided will get a higher score. So the more of the Fed4FIRE tools and APIs that an experiment will use, the better. If they need to use additional non-Fed4FIRE tools, that is not a problem as long as they clearly indicate the added value of these additional tools. Criteria VI. Indication on possible future follow-up experiments and how this can support the sustainability of the federated testbed facilities. (Fout! Verwijzingsbron niet gevonden. of the Proposal Template). The proposer may indicate possible follow-up projects and experiments which can contribute to the sustainability of the Fed4FIRE facilities. The quality, the size and the expected feasibility to carry out these future experiments will be reflected by the score in this criterium. Criteria VII. The proposer should exhibit technological expertise and quality. This information must be included in Fout! Verwijzingsbron niet gevonden. of the Proposal Template. – parties who have submitted a proposal in previous calls of Fed4FIRE+ and which were NOT selected for funding are allowed to re-submit their proposal but only after a period of at least 6 months. – parties who have submitted a proposal in previous calls of Fed4FIRE+ and which were selected for funding are allowed to submit a new proposal only when clear distinction can be made with previous submitted proposals. – Parties who have not submitted or been participating in previous calls of the Fed4FIRE+ project but are belonging to same legal entity as proposers which have submitted proposals in previous calls, are eligible in case they can clearly identify the difference with previous submitted proposals by the other groups. – This information must be included in H of the Proposal Template. Amongst all above listed criteria, Criteria I, II and V will be weighted higher. The proposed experiment must be executed on the available Fed4FIRE testbeds. This competitive call allows for both experiments using multiple testbeds (in parallel and/or in sequence) and experiments using a single testbed Information about the current Fed4FIRE testbeds is available at the dedicated pages1. The proposed experiment must use the experimentation tools provided by Fed4FIRE in order to provide feedback to the project about their usefulness and maturity in a final report. In justified cases additional external tools may be used.  will be linked to the Fed4FIRE consortium as 3rd Party.  Max. funding request per experiment of € 30 000 (Small Experiments) and € 100 000 (Large Experiments) including the support for the Fed4FIRE+ partner(s) acting as Patron.